Ms. Tiger Lilly: Oh, Sister! Yesterday was National Sisters Day, and in tribute to the event, I dedicate this post to my own little sister! 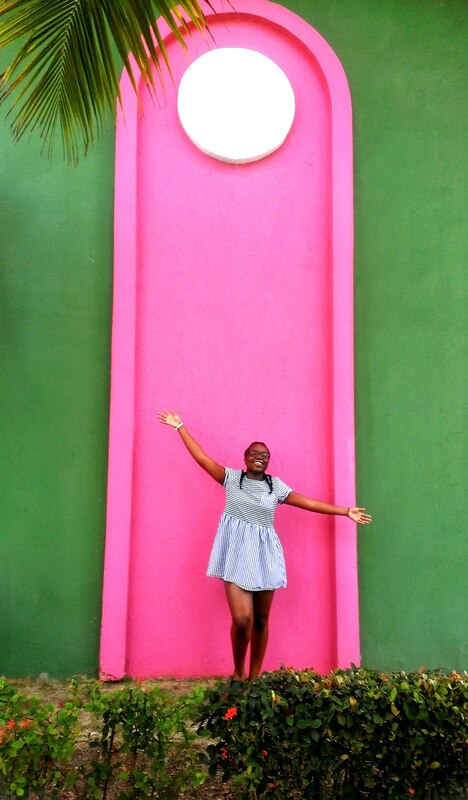 As you may or may not know, I am a big sister (our age gap is almost a decade wide – think Lilo and her sister Nani from Lilo and Stitch) and it’s a role that I do not take lightly. It is a job that I feel is packed with loads of responsibility, adventure, joy and plenty of fun. And it is a wild adventure that I feel can be best expressed with a few quotes. If you don’t have your own sister, but have seen any of the Cheetah Girls movies, then you know that this statement is very true. Using girl power, their voices and a whole lot of cheetah printed accessories, these four amigas cheetahs stood up for one another and made some great music along the way. Although, my sister and I may not be professional singers (at least not in real life) we still have each others backs and if the going gets tough, then this cheetah sister is ready no matter what! Like I said before, although she is not exactly like you, she is in some ways another part of you. You both grew up more or less the same way and with the same parents. You’ve grown up together and as you grow older, you’ll share similar memories, laughs and experiences. So, who better to understand you than your sister? More so when you are young and living at home, than when you’re older and living out and about. This is definitively true, spending an afternoon with my sister turns quickly into an elaborate game of make believe! One minute we are secret spies, jetting off to the next country and then the next thing you know we’re artists, drawing grand paintings to put into our bedrooms. Sometimes we are just bored and can be found sprawled on the sofa watching a film and sometimes, we can be found in the kitchen baking up a storm! At times, we can be heard arguing because you know… we’re sisters, but most times you can hear us laughing because you know … we’re sisters. My verdict, having a sister is great and so I propose that one day isn’t enough! 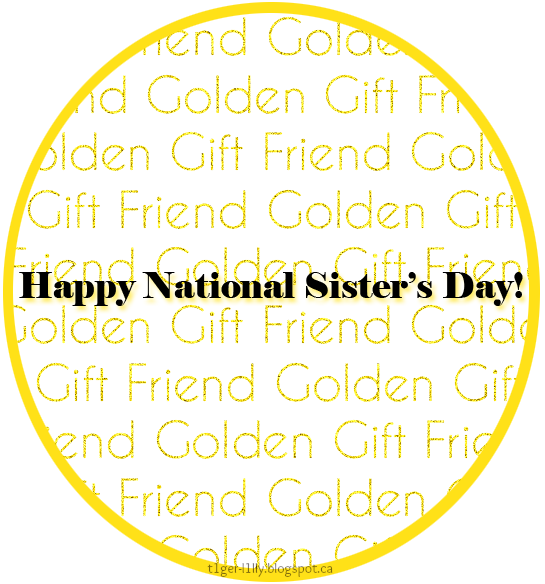 I think that this whole week can be a National Sister Day (or sister-figured person day) celebration! And to celebrate, make sure to fill up your schedules with tons phone or Skype calls, big laughs, warm hugs and catchy tunes to keep the vibe alive! What’s the best thing about having a sibling?